Employees feel more engaged when they believe that their efforts actually make a difference. Hence, the greater satisfaction among employees at organizations that identify as purpose-driven. According to Path to Purpose author Bill Damon, to be purpose-driven means to possess a “long-term, forward-looking intention to accomplish aims that are…of consequence to the world beyond the self.” Research from Deloitte Insights points to a higher employee retention rate at mission-driven companies with a culture of engagement. Employees at all levels want to feel as if they have a voice. They appreciate corporate leaders who regularly seek their input — and actually consider or even act on their suggestions. The first step to creating a culture of engagement? Increasing the frequency of employee surveys and infusing them with open-ended questions that go beyond the usual multiple-choice format. From gift cards to social media shout-outs, employees crave recognition. High-performing employees push harder if they expect their efforts to be rewarded. According to a TjInsite poll, 35 percent of employees regard lack of recognition as the greatest roadblock to productivity. Recognition doesn’t always have to involve singling out select employees; entire teams may prove more productive if recognized or rewarded for their communal achievements. Managers play a critical role in keeping employees motivated and keeping employee engagement high. Management expert Victor Lipman firmly believes that people quit managers, not jobs. The most effective managers understand the value of not only short-term productivity but also long-term employee engagement. Providing leaders with the tools they need to improve engagement is a simple matter of training. Look for interactive programs designed to create better leaders with a wide variety of thought-provoking topics. Employees want to work for companies that have a culture of engagement and that are invested in their long-term growth. This means training not only with the intent of improving current job performance, but also in hopes of developing skills that will help employees make progress on their desired career trajectory. Training should equip employees with the skills needed to achieve challenging, yet manageable workplace goals. This, in turn, drives greater job satisfaction, and ultimately, an engaged workforce. Employee engagement is critical to productivity and innovation — and should therefore be a priority at organizations of all sizes and in all industries. 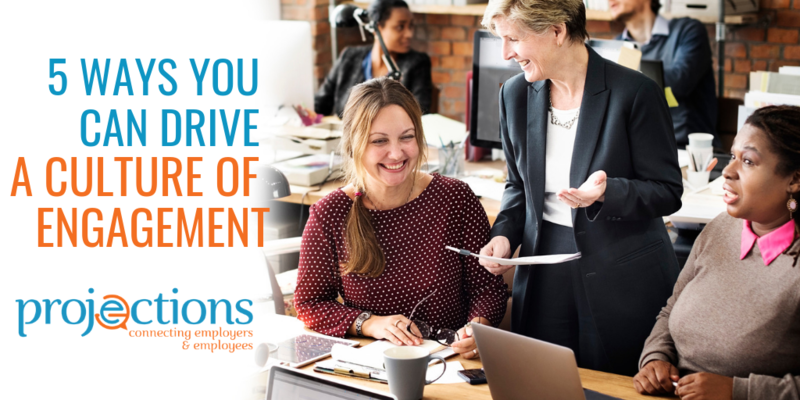 A concerted effort to improve engagement could produce a satisfied, high-achieving workforce made up of individuals who firmly believe in your company’s mission. Ready to get started? Begin with a powerful new employee orientation video, designed to introduce your company’s culture and values. By welcoming your new hires in the right way, you can reduce turnover, improve morale and succeed at creating a UnionProof culture.